There’s a reason why we call Kerala God’s Own Country; the natural beauty of the place is enough to make you fall in love with it. The Malayali cuisine, local festivals, backwaters, ancestral homes and coconut farms in the state are the backbone of tourism. But there’s really nothing like sitting on the beach drinking toddy and watching the sunset on the horizon. Just dig your feet into the sand and take a dip in the cool water on a hot day to release all those stress knots and empty your mind of its thoughts. Kovalam is a popular beach with three adjacent crescent beaches. The rocky projection on the beach has created a beautiful bay of calm waters ideal for a nice dip. You’ll also find some lovely homestays with yoga and ayurvedic centres perfect to detox during a relaxing holiday. If you’re travelling with bae, Kovalam also has some lovely spots for a romantic date. 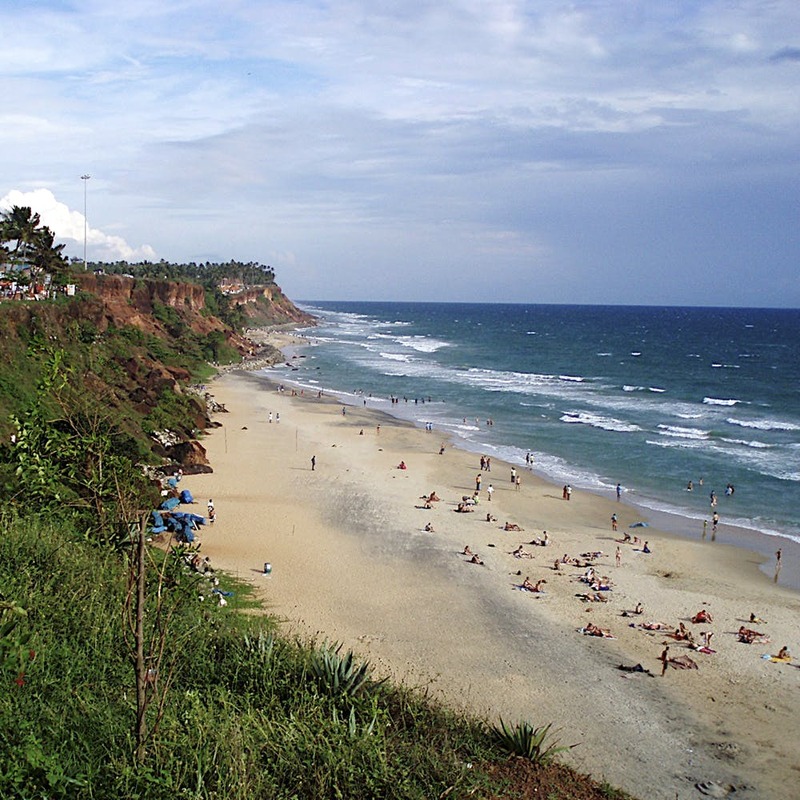 Varkala is a calm and quiet settlement on the outskirts of the capital city of Kerala. Apart from a beautiful beach, it hosts a 2000-year-old Vishnu temple and a natural spring. The beach also has a surf club which is a great place to engross yourself in the culture of Varkala. With high cliffs and affordable stay and food, this makes for a quick get away from the city. Read more about Varkala here. Popular for its backwaters, forts and scenic beauty, Bekal is a small region in Kasaragod, Kerala. It's usually crowded during January and February, because of the Theyyam festival which is considered a big deal in these parts. The beach is home to many forts in various stages of ruin, and a set of 45 caves called the Nityanandashram caves which are beautiful and of historical significance as well. Although not considered as popular as Kovalam or Varkala, Marari has its own charm. Less frequented than the others, this beach is clean and dotted with fishing boats. Located in Alleppey, come here to experience the simplicity and even spend a day touring in the houseboats here to enjoy the beauty of the backwaters. Hidden away in the island of Valiyaparamba, the beach is a 28 km stretch with backwaters on the other side of the island. With beautiful homestays, hot oil massages, delicious local fare and cycling visits to nearby temples, head here for some alone time with bae (or some quality time with yourself!). Located on the west coast of Kozhikode, Payyoli beach boasts of a perfect mix of Dutch, British and Indian culture making it a unique trait of the place. The palm fringed beaches and lively people make it a nature lover’s spot. It is also home to indigenous breed of turtles and a lovely lighthouse. Known for being Kerala’s only drive-in beach, Muzhanppilangad is a four km stretch of sand that lets you soak up the beautiful Malabar coast. It is a swimmers paradise as the black rocks protect the beach from deep currents, letting you enjoy the waters. Parasailing, paragliding and microlight flights are a few sports you could indulge in. It is also one of Asia's longest tribal inhabited beaches!